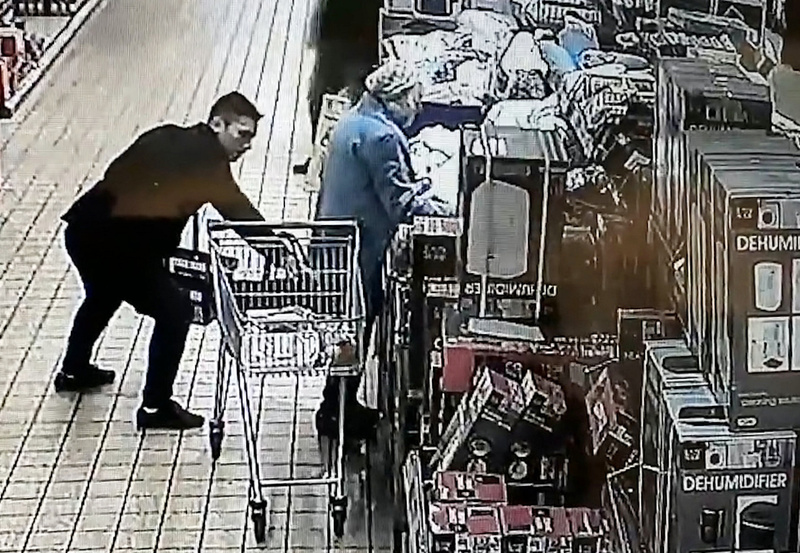 Police are on the hunt for a pair of callous thieves, who tricked an 87-year-old woman before snatching her purse as she shopped. 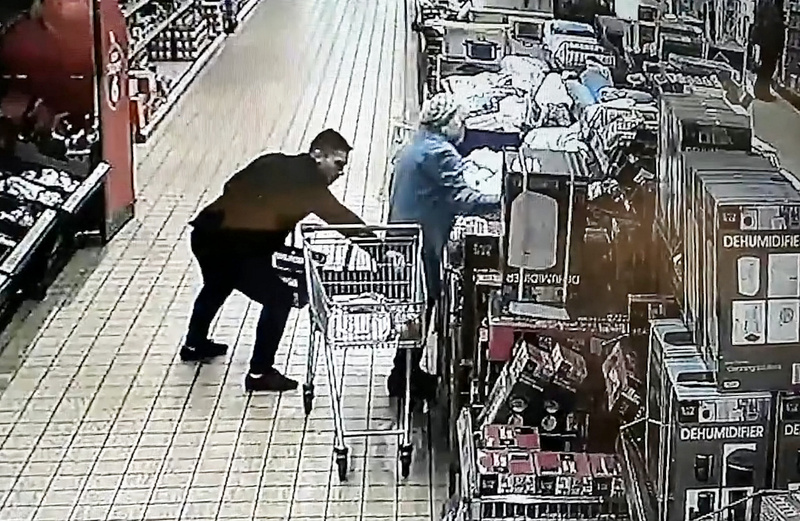 The footage below shows how the criminals targeted the elderly, defenceless woman as she wheeled her trolley around an Aldi on Tuesday. The white-haired woman can be seen speaking to a man in the shop, while a second man sneaks up behind them and takes her purse from the trolley. However, before the second man walks away with the bag, he takes some time to rummage through her belongings in a brazen attempt to look at what’s inside. 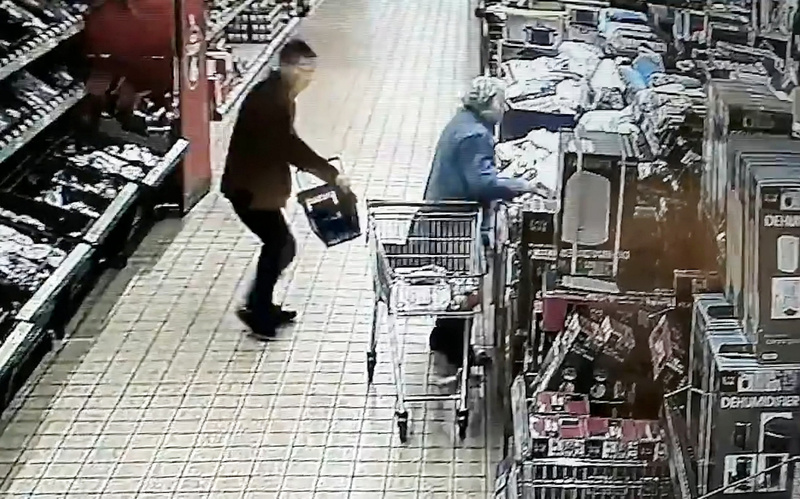 As he walks away, the man puts the bag in his pocket and the elderly victim is none the wiser. West Mercia Police have released the footage to try to catch the heartless men who did this, with the suspects being described as Eastern European and in their 40s. 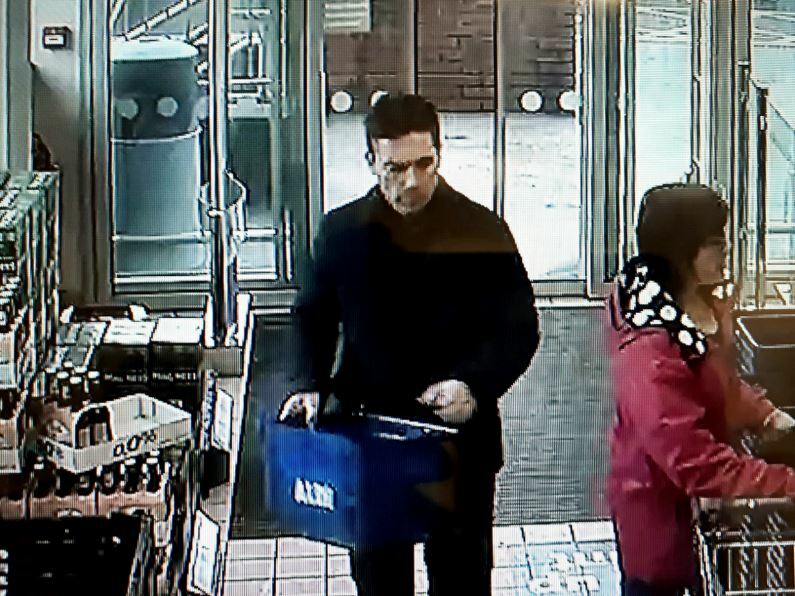 The theft is said to have taken place in an Aldi store in Oswestry, Shropshire at about 10.25am. West Mercia Police has released CCTV in connection of a reported theft. 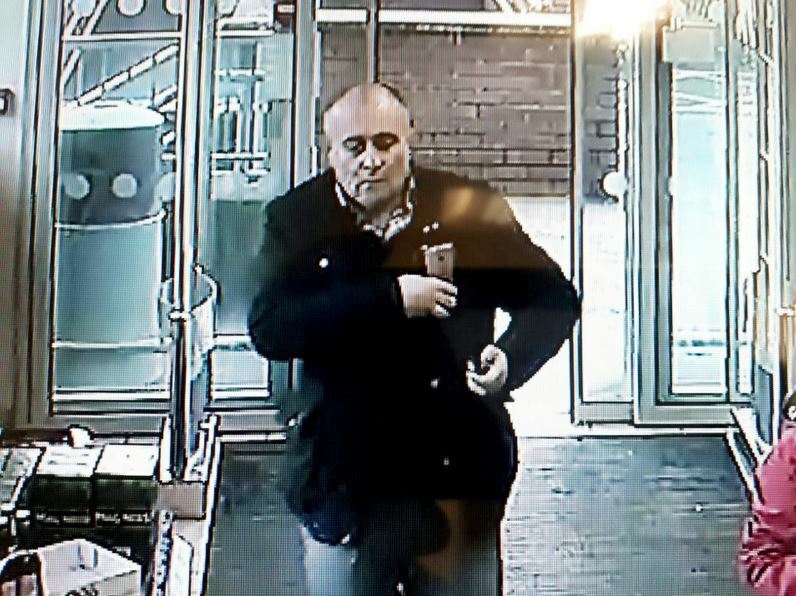 The incident took place at around 10.25am on Tuesday 24 October, in a supermarket in Oswald Road in Oswestry. Anyone with information is urged to contact West Mercia Police on 101, quoting 251s of 24 October 2017. One of the men has been described as having short hair and was seen wearing a smart blue jacket, while the other was bald, stocky wearing glasses, and dressed in a black jacket. Just hours after police posted the appeal, a Crowdfunding page was set up, raising over £1,000 in under 24 hours. I would like to show this 87-year-old lady who was just doing her shopping, there’s still some good in the world. This could be my nan, your nan, it’s not nice to happen to anyone. The post was shared numerous times and the success of the post led Amanda to update the JustGiving page again, according to The Shropshire Star. Donations have been coming in thick and fast. I want to thank all of you who have liked, shared or donated. I don’t know this lady personally but I just felt something had to be done to show her we are not all bad. Basically all I want to do, is a collection for this lady, who was involved in a distraction theft. I was watching the video and it really upset me as this could have been a family member of mine, it could be anyone’s mum or nan. Everyone was commenting on how bad it was on Facebook so I just decided I wanted to do something to help. I have set up a Crowdfunding page for people to make donations which I will then pass on to Oswestry Police Station to forward on to this lady. There are reports the victim of the theft is using the money raised as a reward to help find the two men. As well as the steps above, those with any info can give it anonymously to the Independent Charity, Crimestoppers, by calling 0800 555 111 or by visiting their website: www.crimestoppers-uk.org.